Are you feeling relaxed and refreshed? Or are you still recovering from all the festive meals and treats we often indulge in during the holidays? Once the holiday rush is over, things tend to slow down as we (not so) patiently await the spring. You can use this time to think about some New Year's resolutions. This year, consider starting a new resolution at the beginning of every month to avoid being overwhelmed by too many changes at once. As we mentioned in December, your health benefits may be based on the calendar year, and if you have any outstanding dental work to be completed, or if you are maintaining an oral health and hygiene routine that corresponds with your benefits, now is the time to come in and see us. You can request an appointment here. 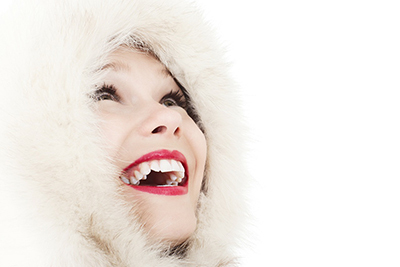 We enjoyed serving you in 2014 and we look forward to keeping you smiling in 2015! Look both ways before you cross the street, always hold an adults hand and brush your teeth after every meal were good pieces of advice when you were a kid. Well guess what, you should always look both ways, it's nice to hold someone's hand and you should still brush your teeth after every meal. Make a habit out of keeping a tooth brush at the office and take a moment to clean your teeth after lunch, (your email can wait). Who doesn't enjoy a hearty bowl of chili? It's the ultimate comfort food. Many people have their own 'special' chili, a little twist of their own to make theirs stand out. 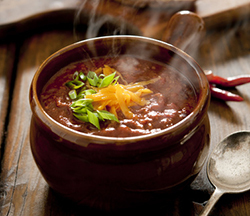 We think you'll find this recipe for a sweeter chili both unique and delicious!